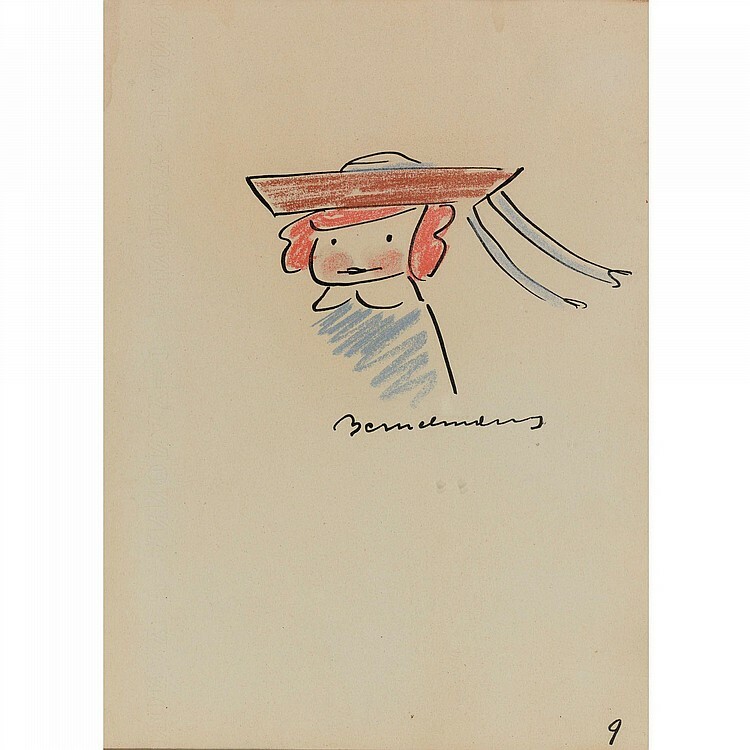 Ink and colored crayon drawing, sold Sotheby’s, April 11, 2011, realized: $6,250. 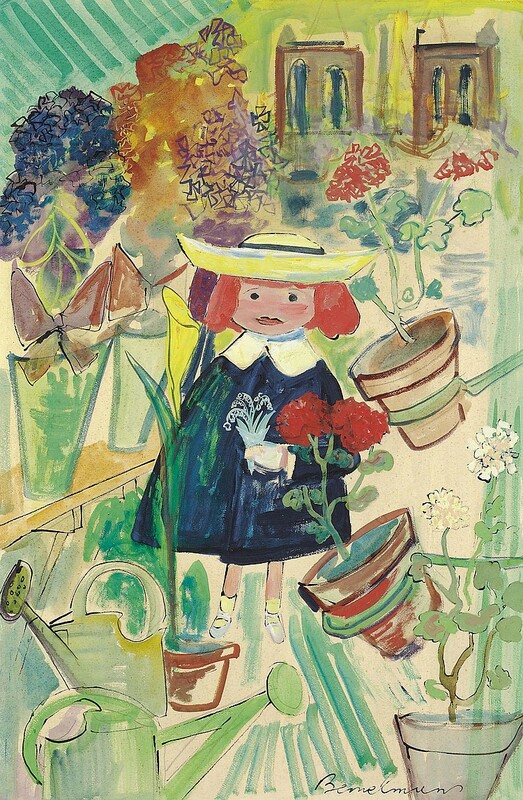 Happy Anniversary Madeline! 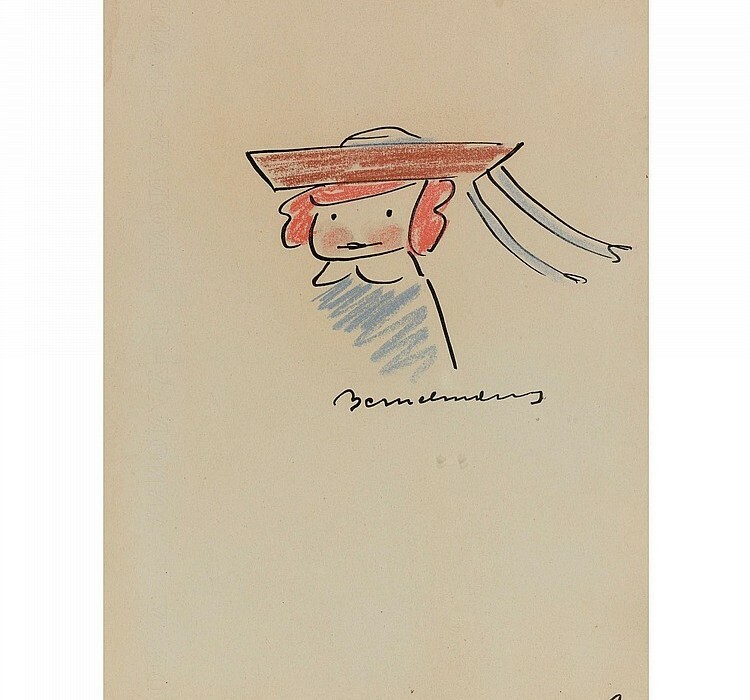 75 years ago Ludwig Bemelmans (Austrian-American, 1898-1962) published his first story of the little girl in a Catholic boarding school in Paris. That was 1939. Five more were published between 1953 and 1961; a seventh, published posthumously in 1999, was discovered after his death. 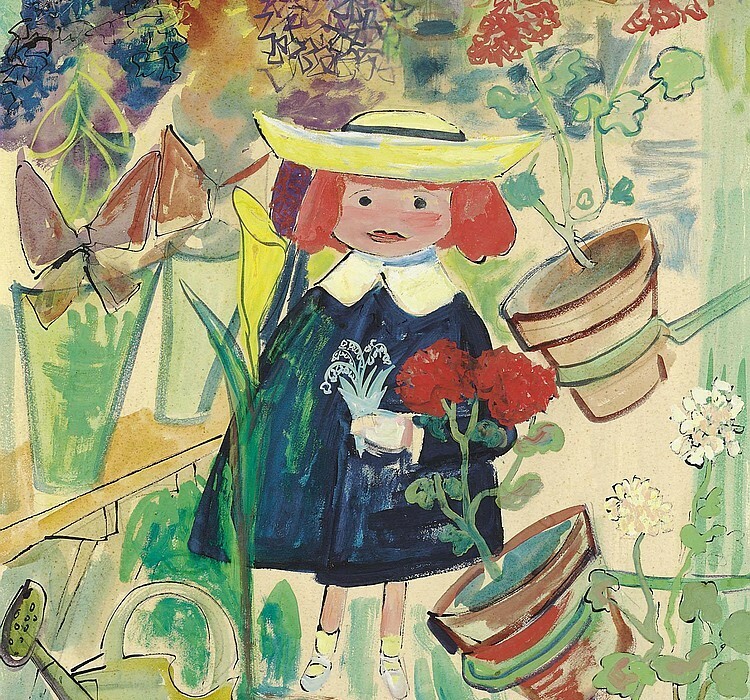 Gouache and watercolor on paper, Swann, November 17, 2011 for $15,600. Madeleine in front of Notre Dame, watercolor on paper, Christie’s, May 18, 2011 sold for $40,000. 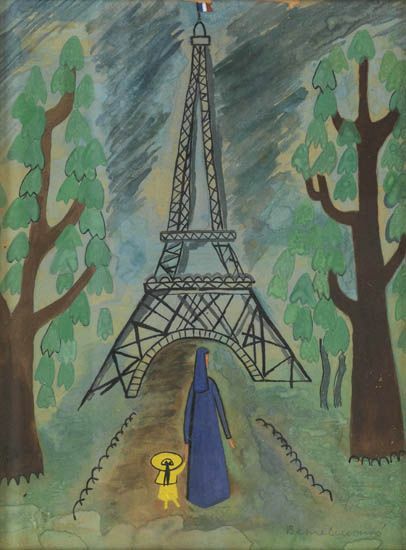 Bemelmans also created many cover illustrations for The New Yorker, designed a set for a Broadway show and involved with several projects in Hollywood. And we cannot forget, the painted murals at New York’s Carlyle Hotel.